(Colorado Springs, Colo.) – Eli Dershwitz (Sherborn, Mass.) and Daryl Homer (Bronx, N.Y.) finished the final Grand Prix of the season in 10th and 11th place in Moscow on Saturday. 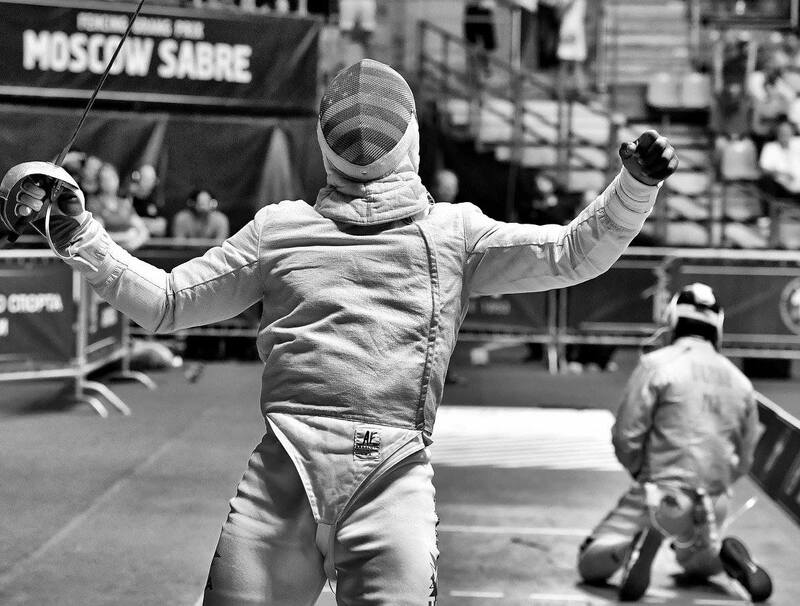 Dershwitz, who will fence at his first Olympic Games in Rio, drew a familiar opponent in the table of 64 as he took on Mohamed Amer – the Egyptian whom Dershwitz defeated in the semifinals of the 2015 Junior World Championships. Although Dershwitz led by just a touch at the break (8-7), he outscored Amer, 7-1, with a six-touch run to end the bout, 15-8. Dershwitz’s table of 32 bout would start off close as well with Dershwitz leading Ilya Motorin (RUS), 8-7, at the break and the Russian coming back to tie the bout at 10. Dershwitz answered with five straight touches, however, for a 15-10 victory. In the table of 16, Yingming Xu (CHN) controlled most of the bout, holding a 13-6 lead late in the second period. Dershwitz scored three to try and mount a comeback, but Xu finished with a 15-9 win. Dershwitz’s 10th place finish puts him 10th in the world rankings going into the Pan American Championships in late June where he is the two-time reigning champion and will attempt to defend his title in the final tournament before the Olympic Games. Homer, a 2015 Senior World silver medalist, will be seeking to improve on his top-eight result from the London Olympic Games when he returns to his second Games in Rio. Exempt from pools, Homer outscored Tristan Laurence (FRA), 5-1, at the start of the second period of their table of 64 bout to increase his lead to 13-7. Laurence score three more before Homer ended the bout at 15-10. Homer took an 8-3 lead against Enrico Berre (ITA) and held off a late charge by the 2015 Senior World Team Champion for a 15-14 win. In the table of 16, Homer dominated the first period at 8-2 against 2012 Olympic bronze medalist Nikolay Kovalev (RUS), but Kovalev made an outstanding comeback for a 15-14 win. Homer’s 10th place finish allowed him to climb to No. 9 in the world rankings. London Olympian Jeff Spear (Wynantskill, N.Y.), a 2012 Olympian, finished the pool rounds, 4-2, on Friday and defeated two-time Senior World Team medalist Iulian Teodosiu (ROU), 15-6, to qualify for the second day of competition. Spear earned a crucial win in the table of 64 when he came back from a five-touch deficit after the first period and went on a six-touch run to defeat 2012 Olympic team medalist Luigi Samele (ITA), 15-13. In the table of 32, Spear lost his bout to 2011 Senior World team silver medalist Aliaksandr Buikevich (BLR), 15-11.